Anglim Gilbert Gallery is pleased to announce our Summer Exhibition of recent works by gallery artists Catherine Wagner and Travis Collinson. In May 2015 Minnesota Street Project commissioned Catherine Wagner to photograph the transformation of 1275 Minnesota Street from an industrial warehouse into the cultural platform it is today. Wagner began by documenting the dismantling of the space, creating compositions from refuse and debris left behind by the previous tenants as well as the bare-bones reconstruction to create the photographs. Wagner's photographs from 1275 Minnesota examine transition, presenting an archeology in reverse. Working from personal photographs and sketches, Travis Collinson skews and distorts his unassuming subjects into larger scale drawings and paintings on canvas. His figures seem to float in their environments which feel equally as disjointed as they are familiar. The exhibition will feature Narcolepsy in Pink, a large work on canvas, as well as drawings on paper from personal subjects to cultural icon Andy Warhol. 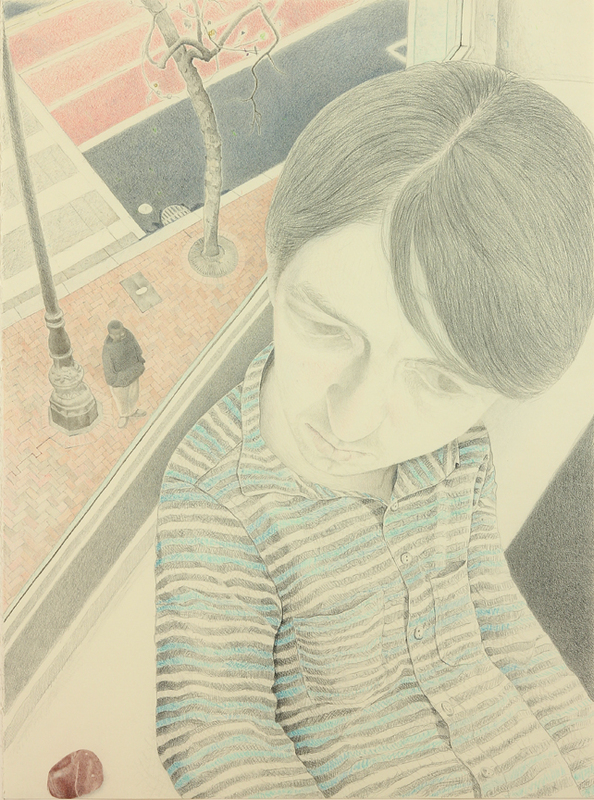 Travis Collinson is a visual artist whose works focuses on the subtleties of observation and perception. His art has been included in numerous group and solo exhibitions throughout the country. He has received reviews in the San Francisco Chronicle, Orange County Register, and other media outlets. His work is in both private and public collections including Berkeley Art Museum and Pacific Film Archive and San Francisco MoMA. In addition to painting and drawing his projects have included the children's book Things Are Scary (2010 Draw Books), and the ongoing web comic Simple Town Press. He was raised in Apple Valley, California and currently resides in San Francisco. California artist Catherine Wagner has observed and photographed the systems within daily life for over thirty years. Working internationally, she focuses on the cultural constructs in both their physical and symbolic manifestations. Her images insightfully examine environments from museums and science labs to private homes and Disneyland. Recipient of the Rome Prize, a Guggenheim Fellowship, NEW Fellowships and the Ferguson Award, her works are in major public and private collections, including the LA County Museum of Art.